Training that teaches positive coping skills can reduce psychological distress, improve overall health, promote healthy relationship functioning, and increase job satisfaction. As a police officer, you provide selfless dedication to citizens and the community every day. The very services that protect others can sometimes have a negative impact on you. Chronic stress from the job can lead to increased levels of alcoholism, divorce, and even suicide. The WELL training protocol is a four-section resilience-building program designed especially for law enforcement personnel. The protocol is based on treatment approaches that have proven effectiveness in treating PTSD and in improving emotional and relationship functioning. WELL can help reduce the chance that your personnel will develop job-interfering disorders, help police officers cope with everyday stressors, and improve Department morale. Policing is one of the most stressful occupations in the United States (Violanti, 1984). 94.5% of police recruits report exposure to at least one critical incident during the first year of police service (Marmar et al., 2007). Rates of PTSD among American police officers are as high as 35% (Mann & Neece, 1990). Law enforcement personnel have been reported to have three times the rate of suicide, increased alcohol use and cardiovascular diseases, and twice the rate of divorce compared to the general population (Marmar et al., 2007; McCaslin et al., 2007). 69% of law enforcement officers who retired early left for psychological reasons (Miller, 1996). Retention of personnel is critical to the success of a police department. It costs as much as $500,000 to train and $93,300 per year to employ (Dept. of Justice, Bureau of Justice Statistics) just one police officer. 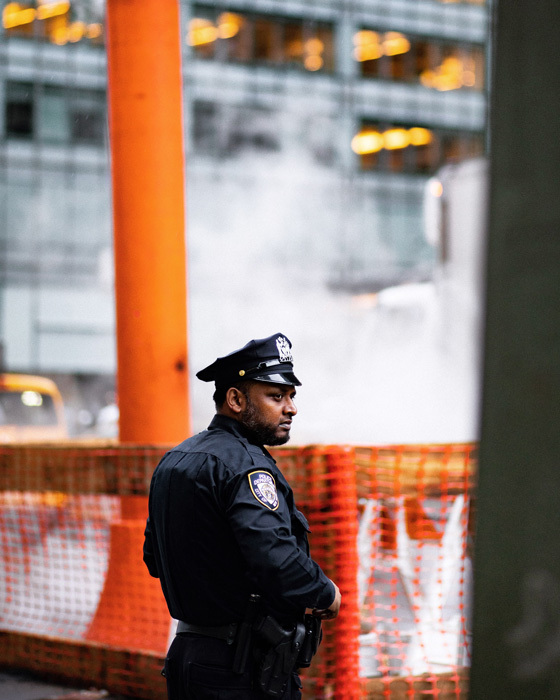 Interventions that promote resilience in policing could prevent the difficulties that contribute to early retirement and less than optimal job performance (Gersons & Carlier, 1994). On-site training for your agency protects your most valuable investment—your personnel. For more information or to set up a training, please call us at (646) 238–1445. © WELL Training. All Rights Reserved.